AMAZING news! Between traveling to and from academic conferences (as well as preparing to present at them), teaching, grading, reading, and writing this has turned into the busiest semester of my life with very little wiggle room for my music but I’ve finally managed to eek out enough time to wrap up my first nerdcore EP, Another M! It has now been sent off for final mixing/mastering care of the Ambulance Factory in Wicker Park, Chicago so I’ll have more updates on when you can expect the finished project very soon! 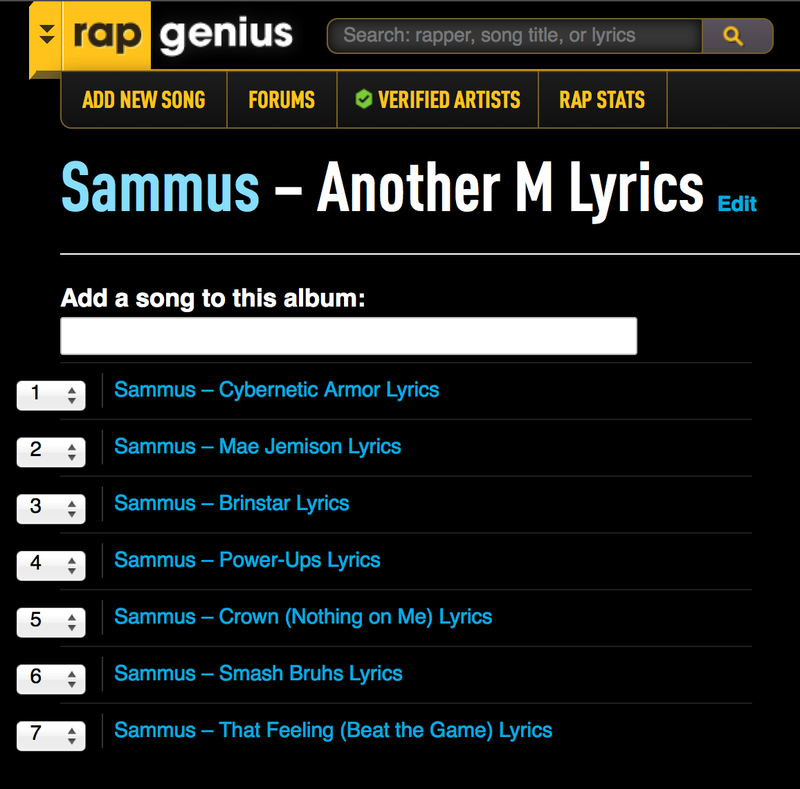 In the meantime, I’ve already posted up annotated lyrics for each of the songs HERE on Rap Genius. If you haven’t already done so, please check them out — I think gamers and non-gamers alike will enjoy some of my references. Gonna reblog this in the middle of the week :) Looking forward to hearing this!